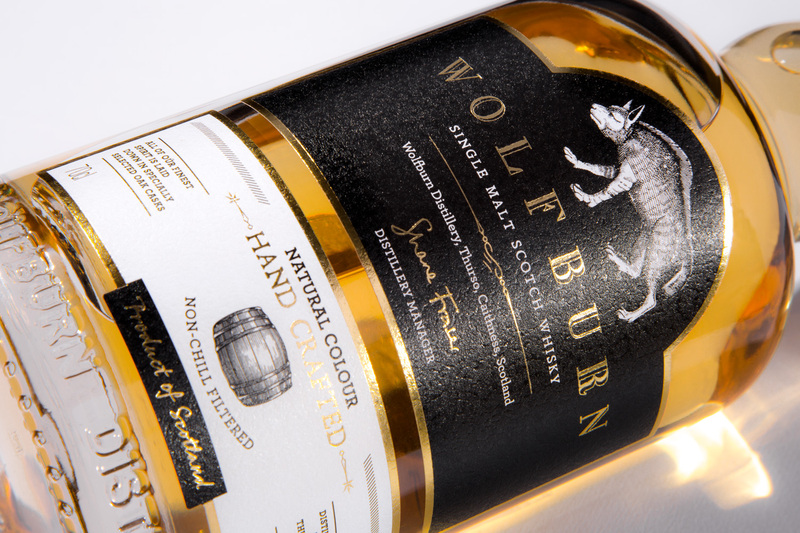 Originally in existence over 150 years ago before ceasing production in the late 1800s, the Scottish whisky brand Wolfburn has recently been reborn. 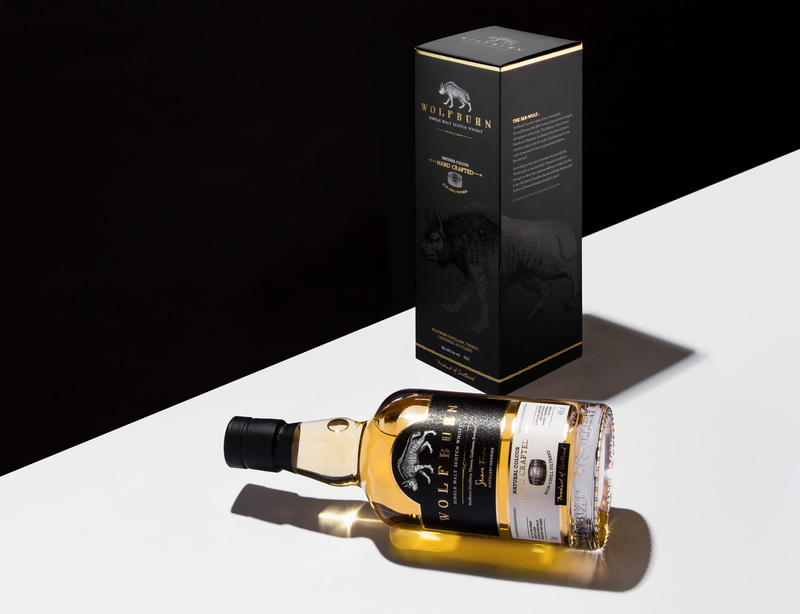 It wasn’t just the distillery itself that needed to be rebuilt for production to begin again — so did the branding and packaging. 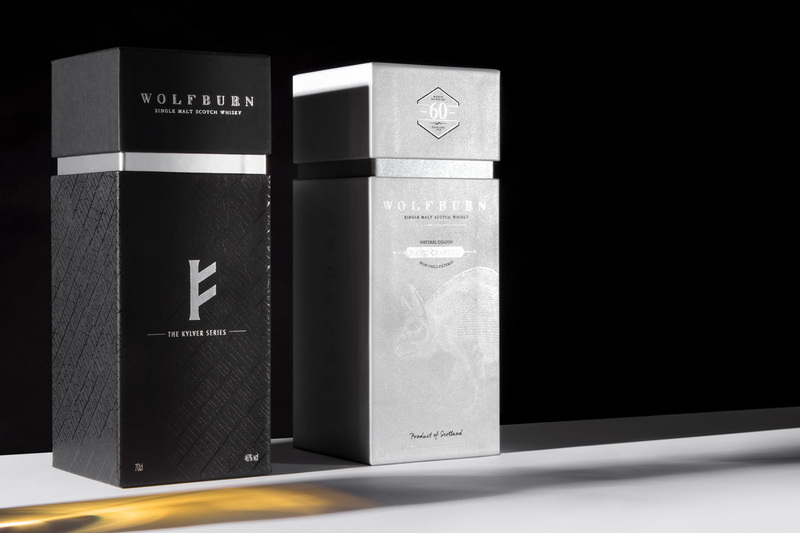 Progress has been very fortunate to be a part of this journey to re-imagine this long forgotten brand, initially producing a small run of just one kind of crash-lock based cartons. 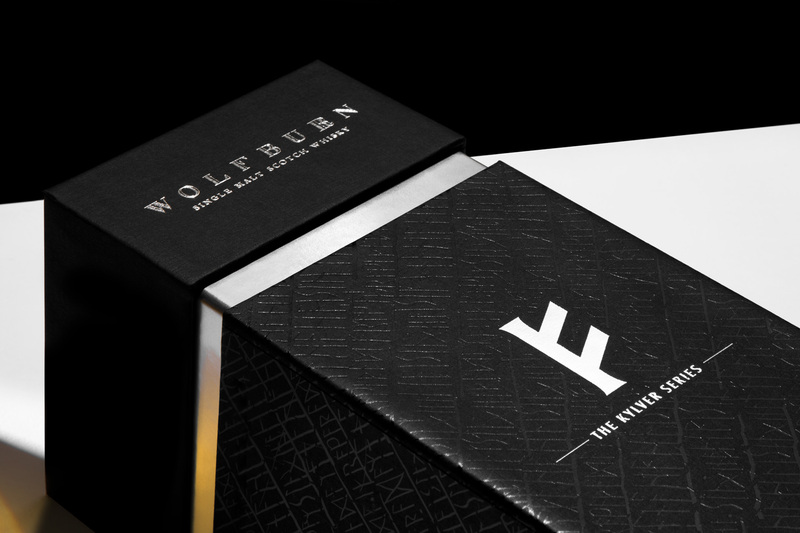 We have gone on to work with Wolfburn’s in-house design team to provide a wide range of cartons and special edition luxury paper-over-board rigid boxes. The brand has gone from strength to strength and this variety of formats has helped to service their rapidly expanding EU and USA markets. 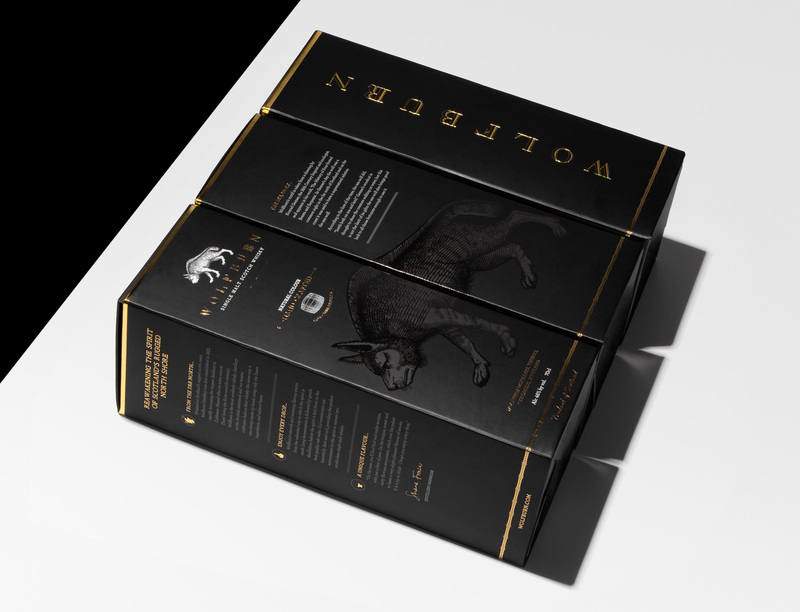 Production processes on the box formats include flood printing, embossing, foil blocking and UV varnishing. 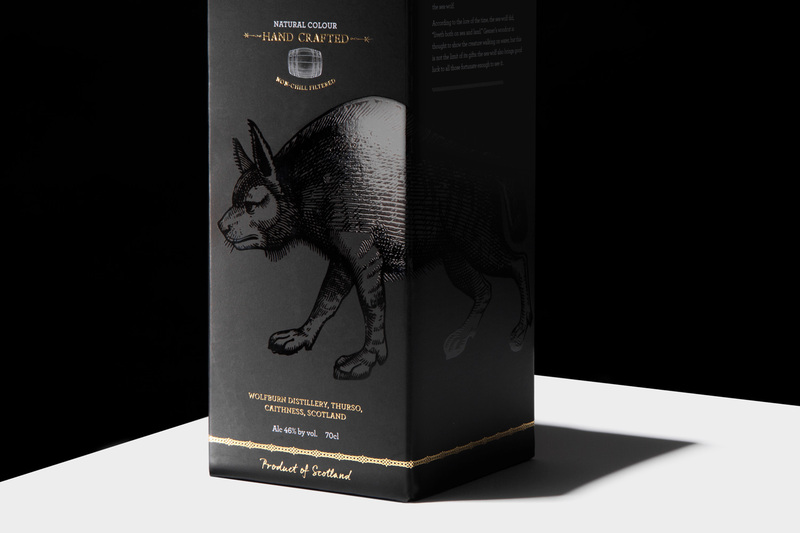 The bottle labels are digitally printed on Fedrigoni Tintoretto paper and gold foil blocked. For product shipping, Progress also produced packing tape and e-commerce transit packaging to house the presentation boxes. 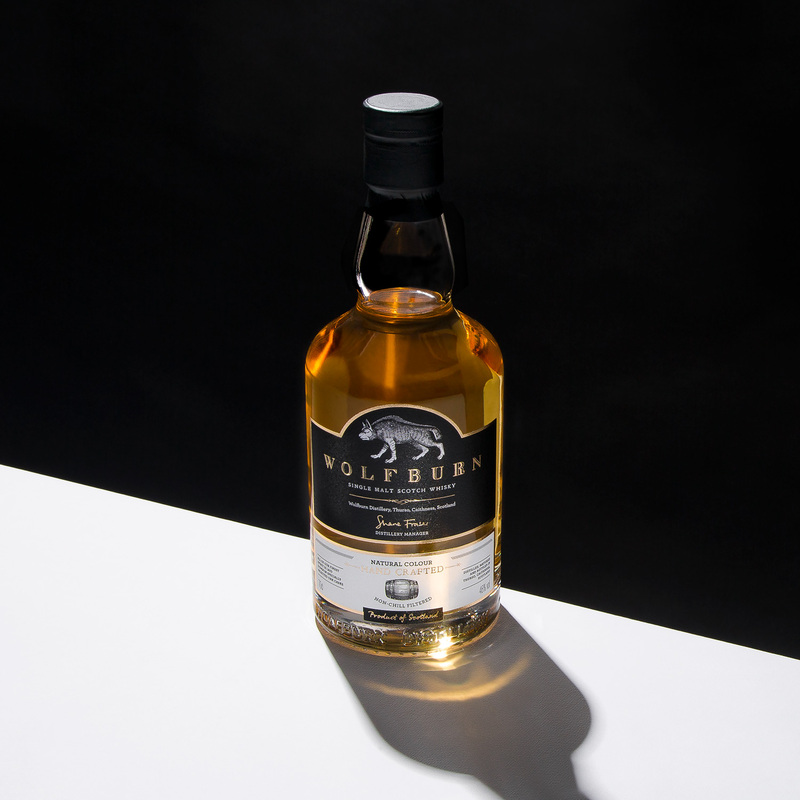 Read more about our partnership story with Wolfburn in our editorial features A Journey in Packaging and Delivering the Vision.